I cooked this for our Saturday meal and it turned out to be delicious. It is very quick and easy to make and you will be able to enjoy a perfectly balanced and healthy meal for the whole family. If you really enjoy spicy foods, like I do, you can add some Cayenne to it. Just be careful not to eat it. Mix it all up together. Bring to low heat and meanwhile scoop out pulp of the zucchini. (Do not throw away pulp, I saved mine to make a vegetable soup). Fill in your zucchini’s. Sprinkle some cheese over the top to melt in the oven. 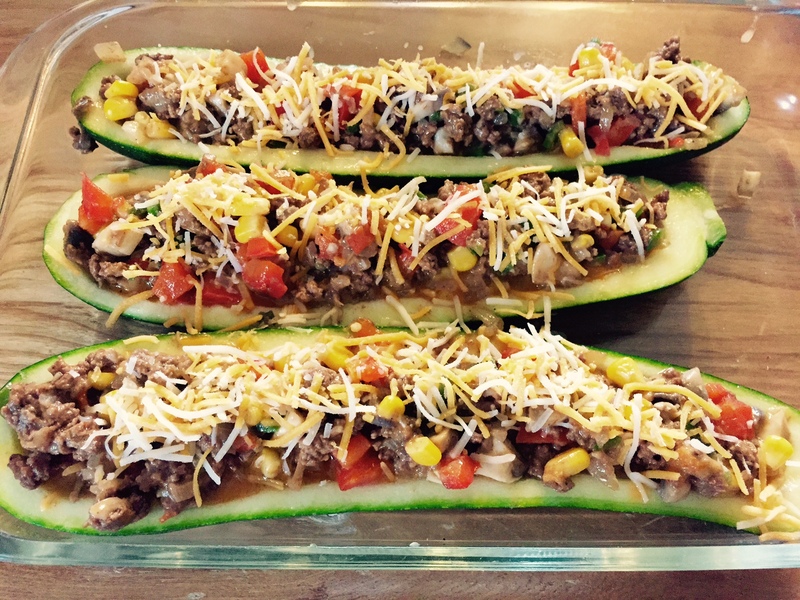 Put in your oven and let cook 25 minutes or until the zucchini feels tender to the touch of the fork. Very simple and easy. Hope you enjoy this healthy meal! 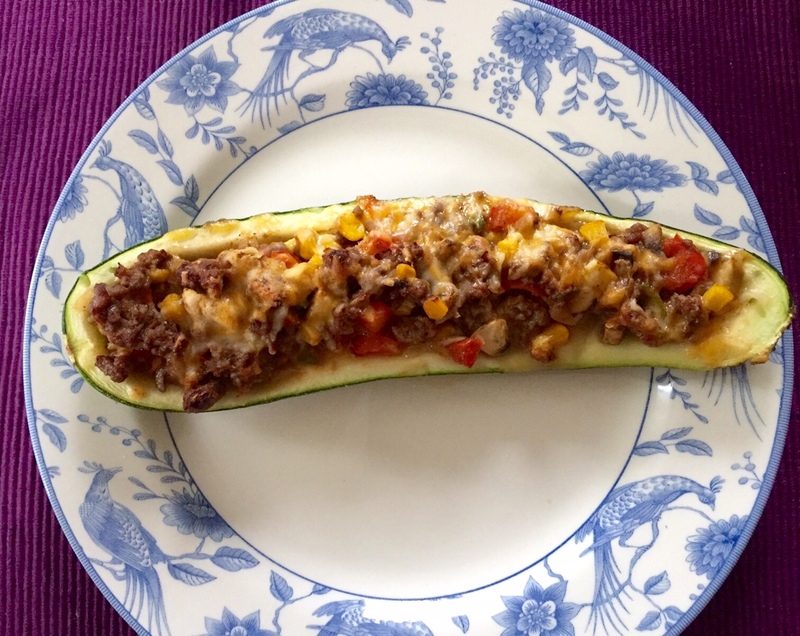 Tags: Filled Zucchini, Healthy lifestyle, Healthy Recipe. Bookmark the permalink.